According to Savills, there has been 10.1 million sq ft (938,320 sq m) of speculative announcements in 2018, a 134% increase on the five year average. Due to continued demand from across the industrial and logistics sector, the firm believes that the market can accept this level of new stock given current market conditions. Savills notes that average take-up has almost doubled in the past nine years, increasing from 16 million sq ft (1.486 million sq m) to circa 30 million sq ft (2.787 million sq m) in 2018 to date. This can largely be attributed to the shift in consumer behaviour and the significant growth in online retail during this period. As a result, vacancy rates have remained low across the UK, averaging 6%, despite the notable increase in speculative development. Looking back to 2016, a record year for the sector, Savills research found that 72% of all speculative development was let within a 12 month period with an average nationwide void period of just six months. 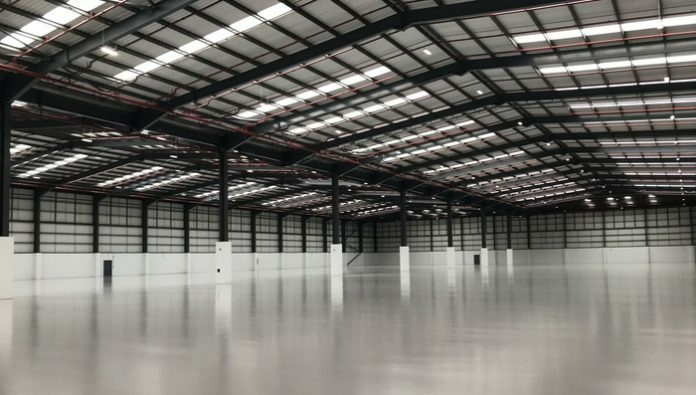 Whilst 16% of stock remained vacant, this is likely due to the buildings not meeting occupier requirements in the market at that time. Over the past 4 years build-to-suit has remained dominant with take-up accounting for up to 50% of all transactions in 2016, mainly because of the lack of available speculative units during this time period. Savills suggests this is likely to change as more speculative schemes are announced in the coming year.